Places to visit: Ananuri Castle (XVII century), Winter resort Gudauri and Cross Pass, Gergeti Trinity Church (XVI century). Journey on Georgian Military highway. Duration 4-5 hours. Places to visit: Sno Castle, High Mountain village Juta (2200m), Tchiukhi Mountains. Hiking: Trough theTchaukhi pass (343m) till the Lake Abudalauri. 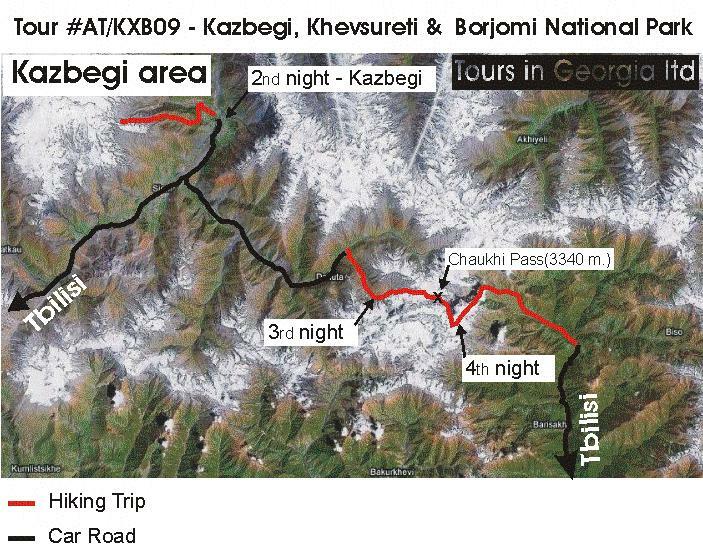 Places to visit: Alpine village Roshka (2000m) Pshavi gorge - Stalini house-museum, Borjomi gorge. 2 days (1 nights) hiking: Likani – mt. Lomis Mta – village Kvabiskhevi. 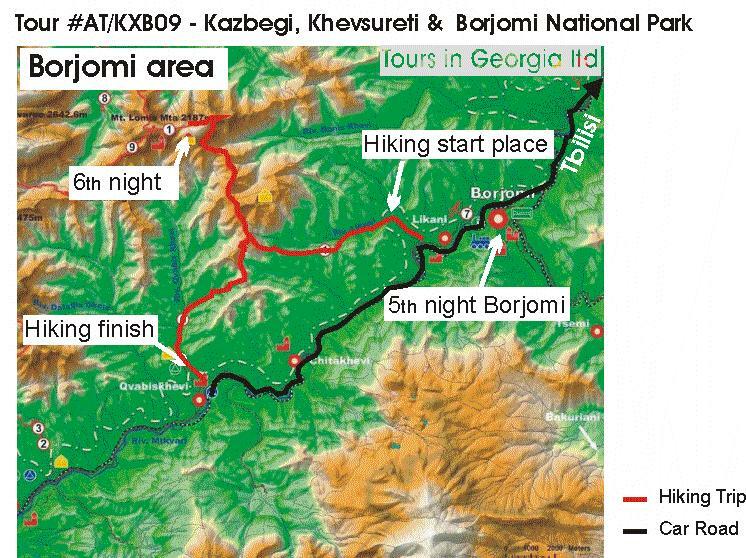 In the evening arriving back to Tbilisi from Borjomi gorge.